Wearing bright crimson shirts showcasing their “Lancer Pride,” 175 La Serna High School Link Crew members formed a tunnel welcoming more than 600 incoming freshmen with cheers and high-fives as they entered the gymnasium, giving the new students a sneak preview of high school life as part of Freshman First Day activities on Aug. 14, one day ahead of the official first day of school. The Freshman First Day program, now in its 14th year, encourages Whittier Union’s newest students to tour their respective high school campuses, attend abbreviated class sessions, meet their teachers and classmates, and participate in fun and interactive orientation activities. 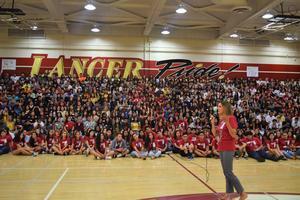 This year, Whittier Union is welcoming more than 2,750 freshmen and more than 11,400 students overall. La Serna senior and Link Crew leader Kyle Chen delighted in leading the freshmen class in a spirited call and response, inspiring classmates to wave their arms in the air and display their best dance moves. La Serna junior and Associated Student Body member Katie Nye is excited to be an adviser to the Freshman Class Council, where she will assist in preparing new students to participate in hosting school assemblies and other ASB events throughout the school year. After the assembly, the freshmen followed their Link Crew leaders to classrooms, where they met their teachers. 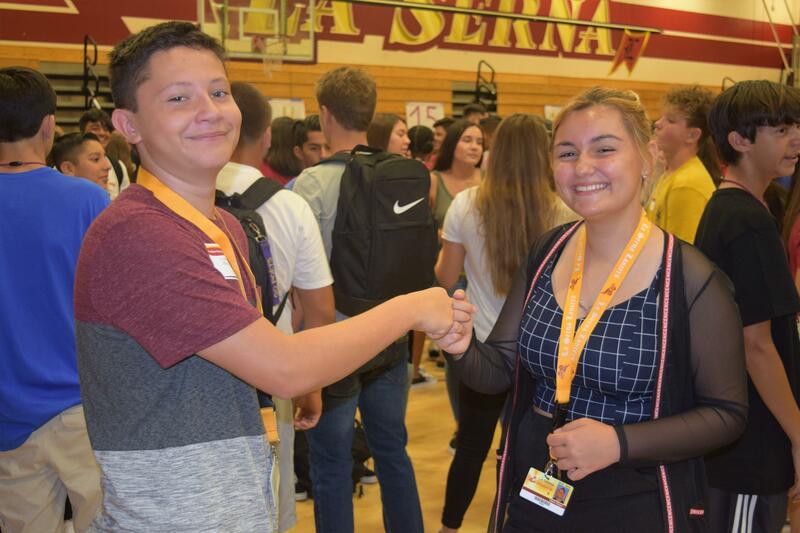 During the school year, La Serna Link Crew members will meet with the freshmen four times a week for study hall and team-building activities. La Serna freshman Jordan Henderson is appreciative of the support from his new classmates. 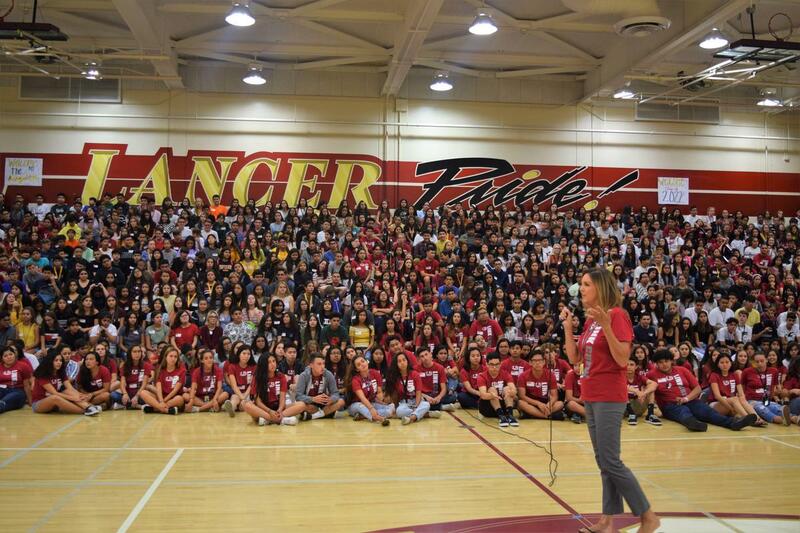 La Serna Principal Ann Fitzgerald addressed the freshmen during the morning assembly, advising them that high school is hard work but that the magic moment will come when they decide to get involved in school activities, which will lead to new friendships and opportunities.